We usually have five at the dinner table, but we were watching a friend's delightful little girl the night we had stir fry. We had Taie for two days; we miss you Taie! With the addition of another at our table that made six. So with six we "got egg rolls" with our Stir Fry!" I know that "With Six You Get Egg Rolls" is a Doris Day movie, but I can't remember any of the details of it, can you? 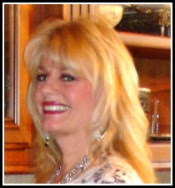 Please check back for my review of Roba Dolce sorbettos and gelatos. Their coconut gelato is to die for! 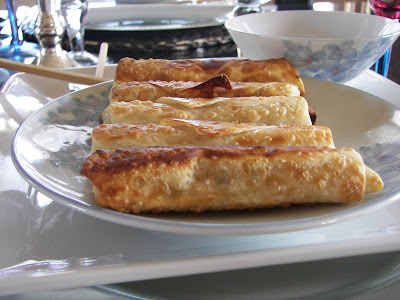 These egg rolls were featured HERE in my Light and Airy Chinese New Year's Table post. 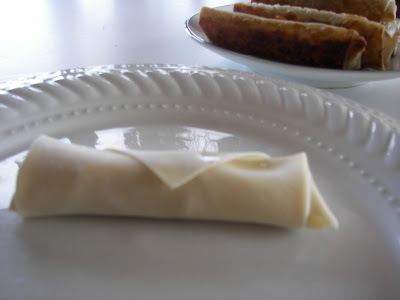 I remember many years ago when I made my first egg roll, I thought they were complicated -- which they are NOT at all complicated. As a young girl, I did not like most Chinese food; when my family would eat at a Chinese restaurant, I would order egg rolls as the entree; I still love them. 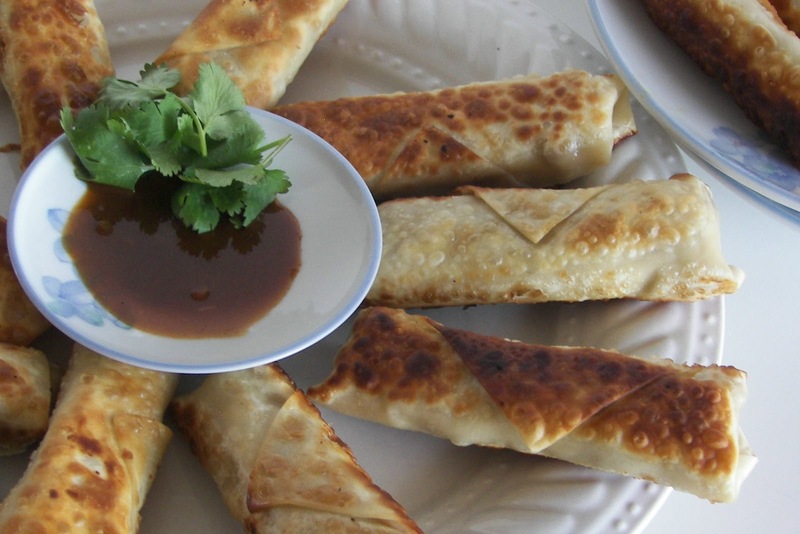 This is just a simple, easy recipe for egg rolls. 1 pound ground chicken or pork -- I used * Gold'n Plump ground chicken. I love it; it is fresh tasting, low-fat and so convenient! Cook chicken or pork with in small skillet until browned. Cool and set aside. Vegetable oil for pan frying. Combin the cabbage, soy sauce, sesame oil, green onions, cilantro, and black ground pepper in a medium bowl. When mixed, add ground chicken or pork. 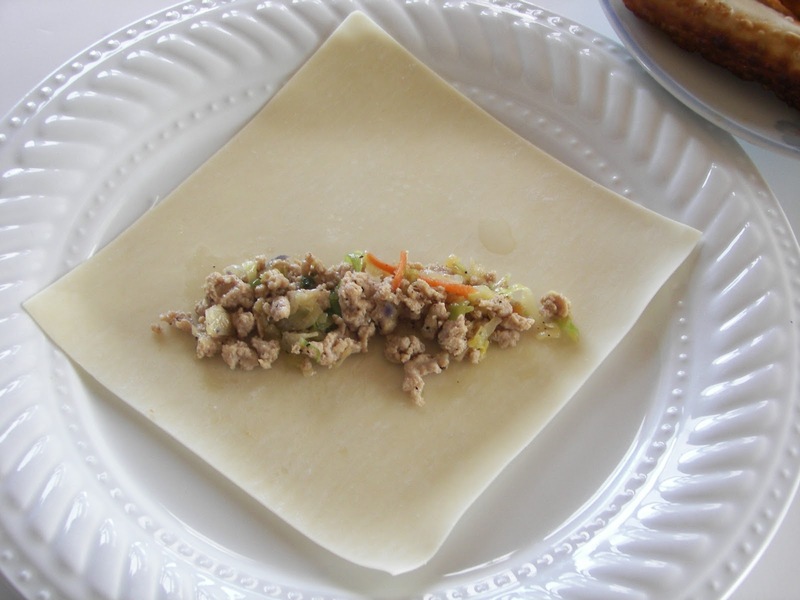 Take one egg roll wrapper and put 2 tablespoons of ground chicken/pork in the center. Wrap according to package directions. In large skillet, at medium-high heat, add 2-3 tablespoons vegetable oil. Place 4-5 egg rolls in the skillet (with the point down) and cook for 2-3 minutes, turning to brown all surfaces of egg roll. Place on paper towel-lined plate. Serve immediately. These made 21 egg rolls which worked out nicely since there were 21 egg roll wrappers. Note: Diced water chestnuts would also be great. * Awhile back the Gold'n Plump sent me a sample pack of their chicken. Put chicken/pork mixture in center of wrapper. 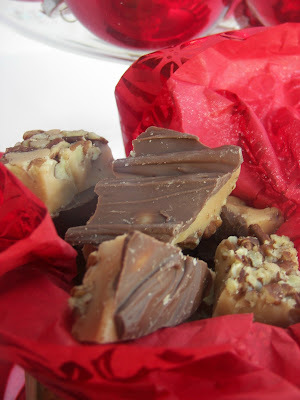 Roll the bottom half of the wrapper over the mixture; tuck wrapper under the mixture. Fold left-side of wrapper. You can put a little water on this to seal it. 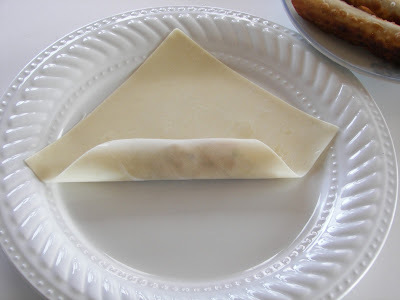 Fold right-side of wrapper; in the same manner and try to have points meet -- add a little water to seal. I don't have a picture of this. Roll up wrapper. Continue to roll and seal the top point with a bit of water; when you cook the egg roll, place the point down in the skillet. I hope you make some egg rolls soon! I love spring rolls. I usually make a big batch with some to freeze. My kids love to just nuke them and eat. Such an easy snack for them. I will have to try your egg rolls. I am planning on making the lemon chicken recipe you posted one day next week. I was going to do spring rolls, but maybe I will try your egg roll recipe. Thanks for sharing! Great tute, Joni! Gosh, there were only two Doris Day movies that I really remember liking - Pillow Talk and Lover Come Back. Your egg rolls sound wonderful - another must try! I like that they're not deep-fried and the oil is minimal! I'm such a huge fan of egg rolls, yummo! I don't think I've ever made them at home though. How nice that you had what sounds like a precious house guest for 2 nights. I'm sure she had a blast. How fun! One day last quarter, the Chinese girls I tutor taught us how to make them! It's fun, and they taste so good fresh! 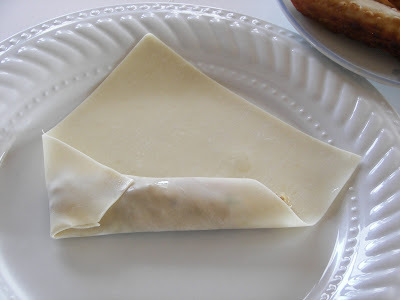 I love egg rolls, i usually just buy them though, I will have to try this, they look better and are probably healthier! Thanks for sharing!! I am all over our yummy looking egg rolls. Do you do take out? Anyway, Happy Chinese New Year. For me this is perfect as I am about 6 weeks behind in life. Thanks for a fun post and also, since I'm catching up, on being published! O' yeah, these look yummy!..I'm going to borrow this recipe, and try. Thanks for sharing, and thank you for visiting LazyonLoblolly, and your comment is so appreciated, YEP!,we've had blue skies and sunshine for a few days, but back to raining now. YUM!! I might just try this. Just so you know, I had such a craving for them after reading your recent post that I ordered one at the food court when I was out to lunch the other day. And that's a favorite movie since Doris Day is my all time favorite actress. It's about a couple trying to put together a blended family. It also has Brian Keith who is so handsome to me in a craggy sort of way. I remember the movie. It is pretty funny to watch now - it was made in the 60's and is very "mod"! And, of course, silly. 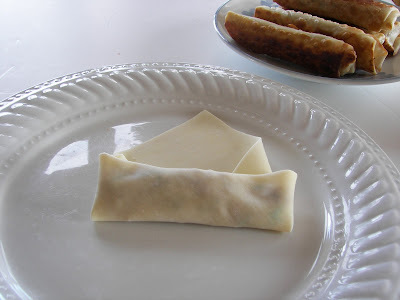 Your egg rolls look delicious and your tutorial is wonderful. I may have to try it! Thanks for stopping by for a visit. It finally quit snowing here, but driving is a challenge when you are trying to peek around 12' snow drifts! my mom used to make egg rolls often. I've never tried. They look relatively easy, maybe I will give it a try. BTW I love all Doris Day movies and especially that one. It's a little like Brady Bunch, she has 3 boys and he has one girl and they get married and the kids don't get along. These look great! I LOVE egg rolls, but never make them, not because they seem too complicated, but because they generally involve deep frying, which is something I just cannot abide. Since you made these in a skillet (!) I'm going to give them a try. Thanks, this recipe sounds particularly easy. i think it was like yours,mine and ours...i can't remember where the eggroll reference comes in :) these looks scrumptious--and i love that they are chicken! i just might make these for the super bowl! Ok, so I think you have convinced me to try this!!! I always thought they were hard to make...your pictures looks simple enough.. Thanks for the tutorial. 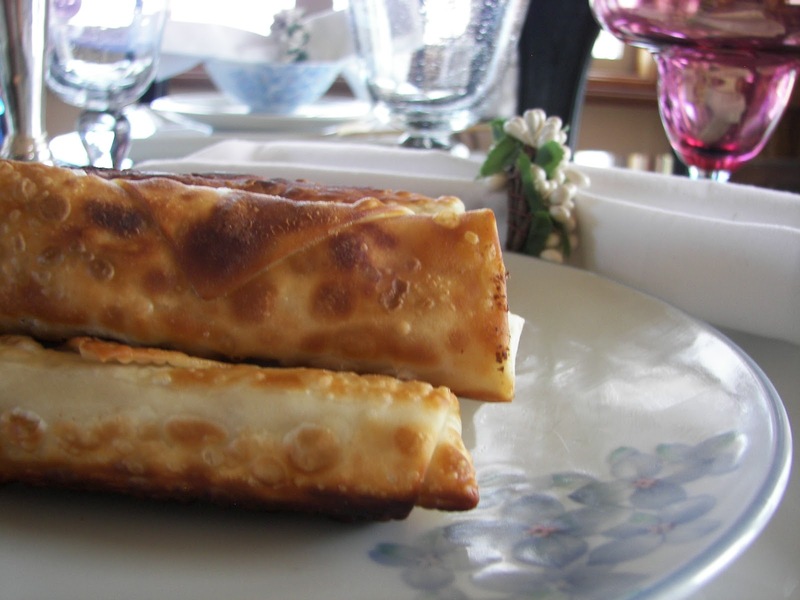 We just love egg rolls here, so definately going to give this a try! They look delicious. LOL, I remember making them years ago and thought how much work they were! I actually bought the makings yesterday. I think I will do shrimp. I don't use cilantro. Great tutorial, I needed a refresher! Now why didn't you bring some up when you visited? Amanda's friend makes them and freezes them before frying, so you just pop them in the oil frozen. I will have to make some soon. We always love egg rolls! Your chicken filling sounds delicious, Joni. Now you've really gotten me hungry for a big plate of them. I could probably polish off four egg rolls with no problem at all. I love egg rolls. Thanks for the great tutorial. I also remember that movie. We watched it because the title was interesting. It was a cute show. Oooh, these look fabulous! I made egg rolls once as a kid and I definitely need to try them again now. Thanks for the recipe! Now I'm craving egg rolls! YUM! I'd love for you to submit this recipe to the M&T Spotlight: http://www.makeandtakes.com/spotlight. This looks absolutely amazing. I love egg rolls and these just look awesome. You really made this sound easy enough for me to try! I love egg rolls so I'm very excited. Thanks!